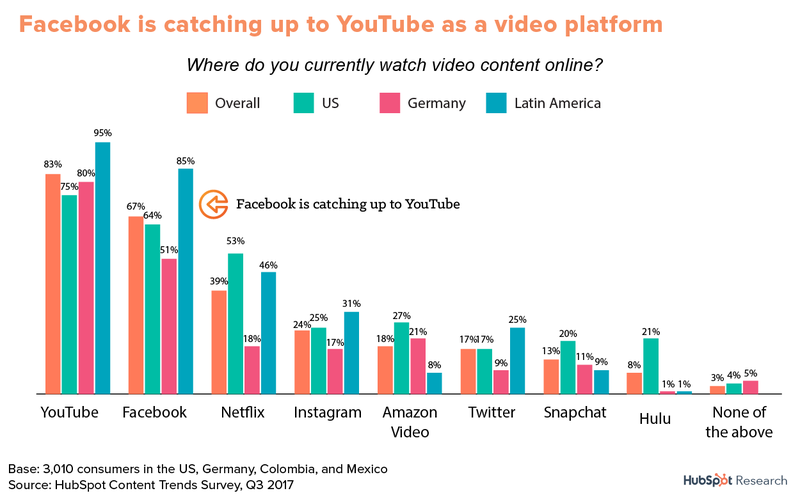 Globally, consumers are starting to prefer video content over more traditional approaches. They are also increasingly using Google and Social Media, with younger consumers massively preferring these avenues over any other. 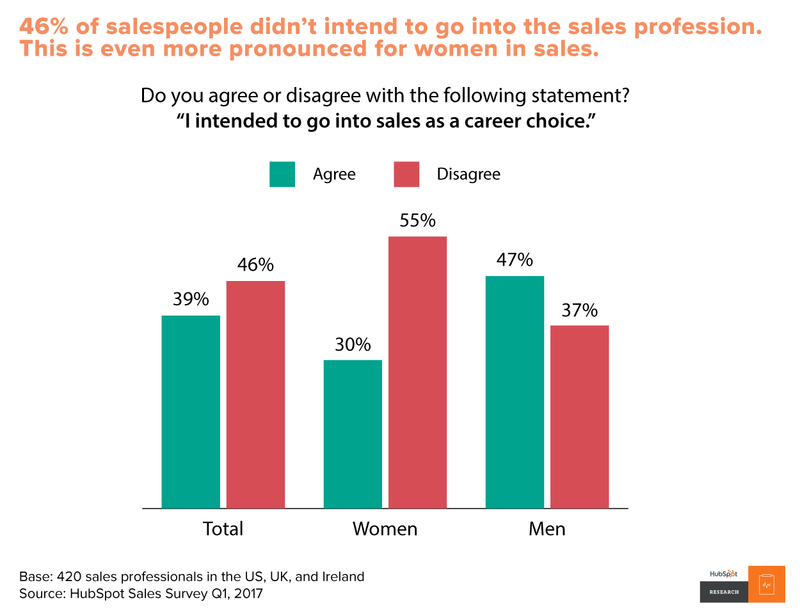 Below is a summary of HubSpot's research showing these trends. This is part of our series, Free Checklist: How to Run an Inbound Marketing Campaign. Join the #SalesSuperleague. 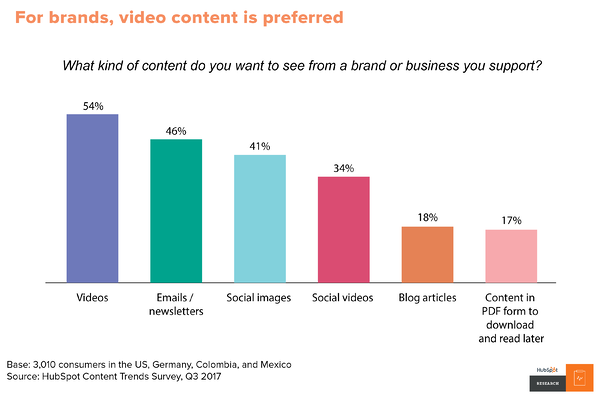 What do People Want When it Comes to Video Content? 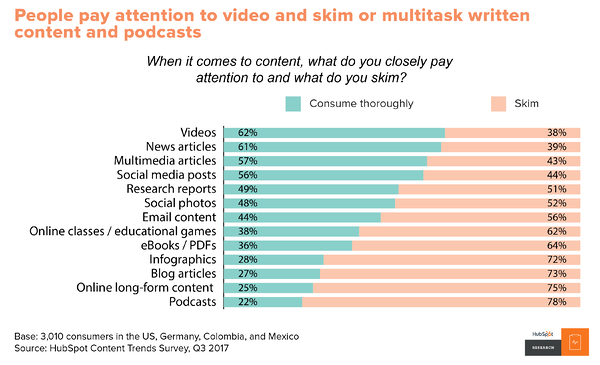 People are most likely to pay attention to video content, but more than 50% also like news articles, multimedia articles and social media posts. 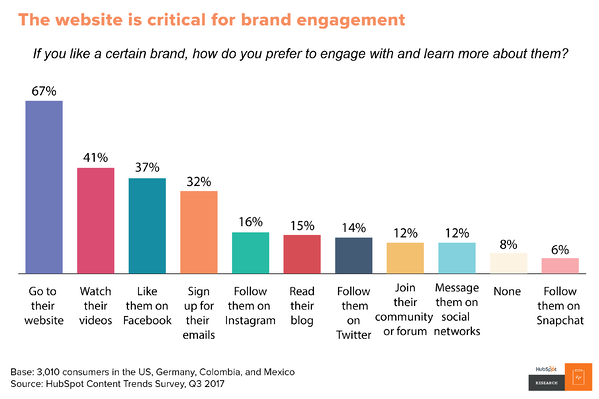 For brands, people tend to also prefer video content, but emails and social images are also liked. Currently most people watch online videos on YouTube, but Facebook is catching up. 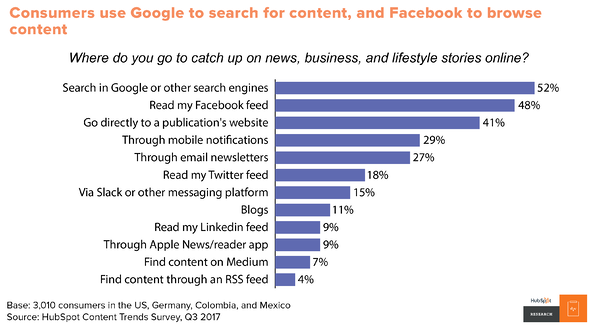 When catching up on news, business and lifestyle stories online, 52% of people search in Google, 48% read their Facebook feed and 41% go directly to a publications website. 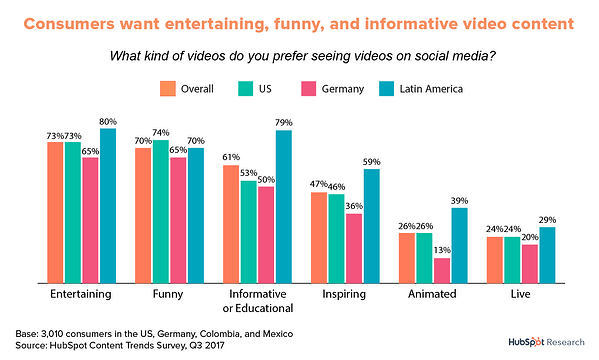 Globally, 73% of people want to see videos that are entertaining, 70% want to see videos that are funny, 61% want to see informative or educational videos, and 47% want to see inspiring videos. What do Younger Consumers Prefer? 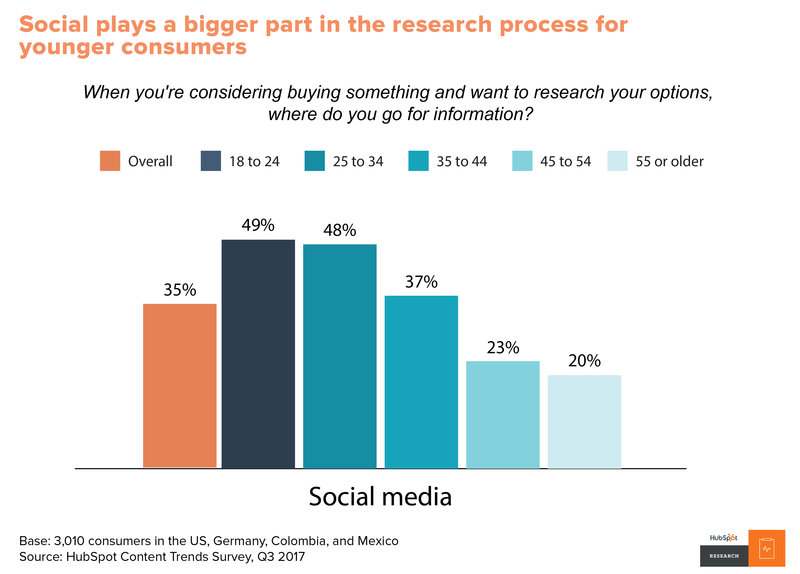 Younger consumers are much more likely to use social media as a place to go for information when they are researching options. 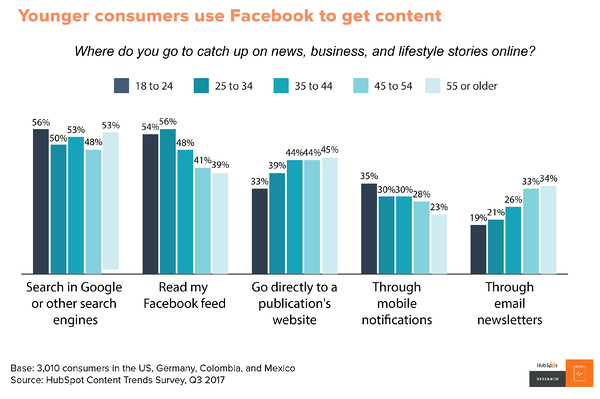 Younger consumers massively prefer Facebook and Google for content. This is vital knowledge as younger consumers will age and enter the top buyer hotspot. Your Website is Still Important! 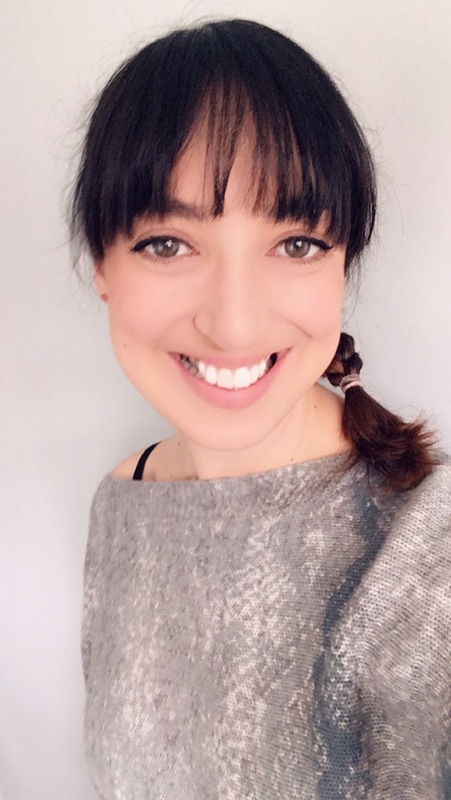 Despite the preference for Google and Social media, if a person wants to connect with your brand and learn more about you, 67% will go to your website. Video content is increasing in popularity globally, as is the use of social media. Its vital that your automotive company gets prepared to start using video content, as well as having an active social media profile. But don't forget your website! Buyers still want to be able to find out more details about your products and services by going to your website. I've referenced 'young' buyers throughout this post. Whilst your current customers might not be 'young' we regularly find junior staff in Automotive companies are the ones that conduct initial research for managers, directors, and owners. Plus, the age of your customers aren't static and we also see many junior staff moving up through companies and into decision maker roles. If you've engaged with them whilst they were working their way up then you already have a captive audience that knows about your brand, how you're different to your competitors, and why they should buy what you're selling. To learn more about your buyers content preferences, start with this Free Checklist: How to Run an Inbound Marketing Campaign.